When it comes to playing basketball at a high level and studying, Maud Lesoudard should be able to give young players some tips. The first time wbbif met Lesourdard, she was only 16 years old and she was doing her physics homework in the stands before her game. Veuillez tout lire en français sur la meilleure joueuse en LF2 pour le mois de février. Eight years later Lesoudard is still playing basketball and the physics textbook has since been replaced by medical books. However after a couple of years playing for Reims (LFB/NF3) she decided to drop down to a club in the third division (Sainte-Savine) and concentrate on her studies. 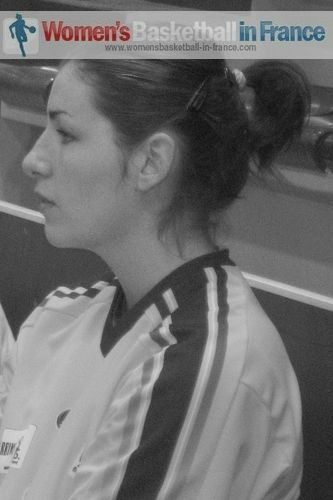 In August 2012, four years after leaving Reims (the club was called Reims Saint Jacques in 2008) she returned to Reims BF supposedly in the role as a bench player covering for Mina Maksimovic and Anita Meszaro. However injuries to these two players meant that Maud Lesoudard moved from the bench into the starting five by the second game of the season. She needed a couple more games to get into her stride and establish herself in the offensive role. By the time Meszaro returned Lesoudard had done more than enough to keep her place in the starting line-up. Lesoudard is the second most deadly finisher in LF2 at the moment converting 59% of her shots in the paint. Also she is a player who should not be fouled in the act of shooting because she has converted 87% of her free throws and is the LF2 leader in this category. In February she hit 15-from-23 from inside the paint and 17-from-22 from the free-throw line while also dishing out 8 assists. 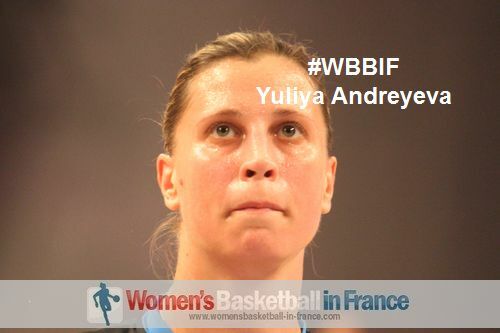 Her hard work on the hardwood is paying off and wbbif have rewarded her with the LF2 player of the month for February. Lesoudard is an example of a player who has so far managed to combine playing basketball at a high level and studying. 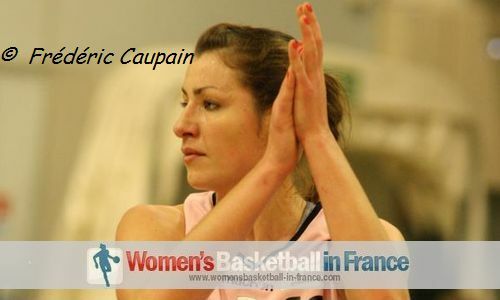 We at womensbasketball-in-france.com hope to see her play in the LFB before she hangs up her boots for her career in medicine. A 24 ans, Maud Lesoudard, étudiante en médecine, fait son retour à Reims après 4 ans d’absence pendant lesquelles elle jouait en NF2 (maintenant NF1) à Sainte-Savine. 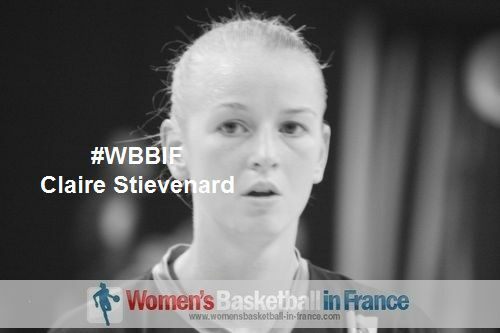 Wbbif a fait connaissance avec Lesoudard quand elle jouait au COB Calais, jonglant entre sa vie lycéenne et le basket en cadettes France et en LFB. 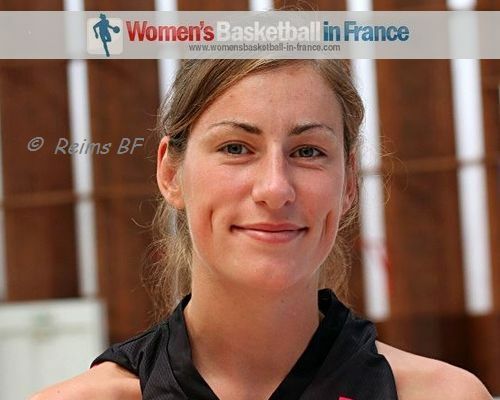 Puis, elle poursuit sa carrière de basketteuse à Reims (LFB et Espoir) et passe le premier cap à la fac de médecine. Mais après deux ans, elle joint Sainte-Savine pour se dédier à ses études. Cependant, son désir d'évoluer en basket, la pousse à revenir dans son ancien club (à Reims) où, suite à des blessures, elle a eu l'opportunité de se faire une place dans le cinq majeur. Lesoudard commence à dominer à l’intérieur et avec une évaluation moyenne de 16,1, 12,9 points et 5,6 rebonds par match elle mérite d'être nommée la meilleure joueuse de LF2 du mois de février.